Is this the right way to Braunston? He wanted to know the way to Braunston. A sweaty, rucksack laden, ruddy faced, middle aged man whose blemished facial features betrayed recent acquaintance with a public bar altercation. As it happened he was going in the correct direction. Not exactly lottery odds, as there’s a fifty-fifty chance of success on this particular stretch. Why the man was walking, at speed, to Braunston I don’t know, but perhaps he was on the same mission that I would later undertake - to walk the length of the Grand Union Canal from Brentford to Birmingham. 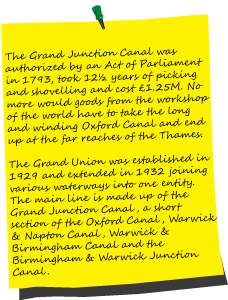 It was at Braunston that the Grand Union’s precursor, the Grand Junction, met with the not fit for purpose Oxford Canal two hundred years ago, reducing the distance between the capital and the workshop of the world by 60 miles and, because it was a ‘wide’ canal, doubling the capacity. 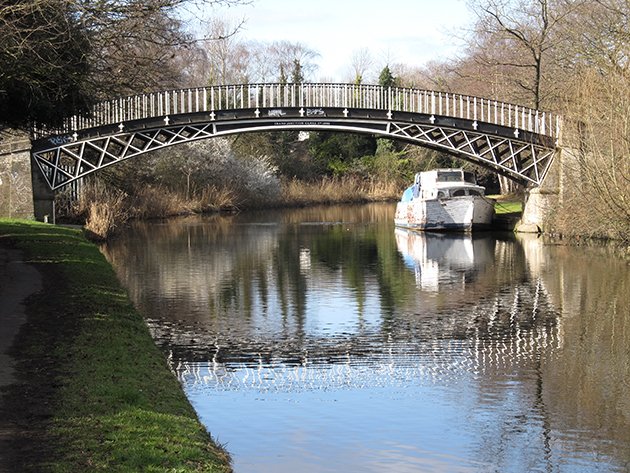 This walk follows the Grand Union from Brentford in west London to Braunston, onward to Digbeth and Salford Junction in Birmingham and then, following the Birmingham and Fazeley Canal, into the City Centre. The towpath between the Thames Lock and Brentford Gauging Locks isn’t the best. 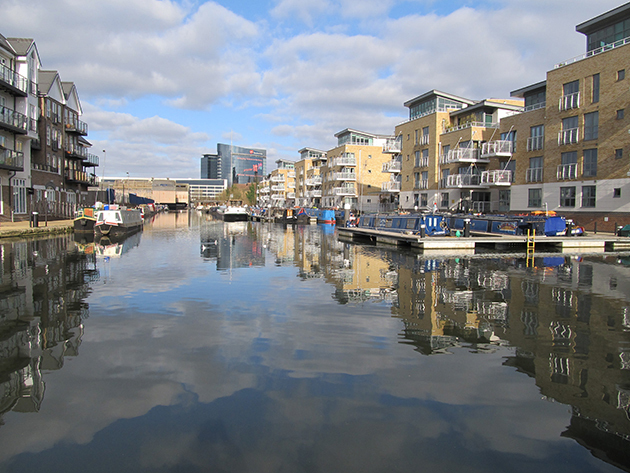 Initially it is narrow and muddy between what was Brentford Dock but is now a housing estate and run down industrial units. This first section is tidal as it’s really the River Brent and you’ll pass a collection of unattractive houseboats at Ham Wharf before reaching the Gauging Locks. The hundred year old Toll House marks the start of the non-tidal waterway and a sign tells the Grand Union traveller that they have 93 miles to Braunston and 137 to Birmingham. From underneath a large run down British Waterways shed that is utilitarian at its most basic, you pass GlaxoSmithKline whose glass offices and works of art make a statement regarding their pre-eminence in the 21st century business world. Further on, there’s a boat graveyard next to Clitheroes Lock 99. Nearby is Boston Manor, one of the ancient manors of Middlesex, the early 17th century manor house still stands in Boston Manor Park. 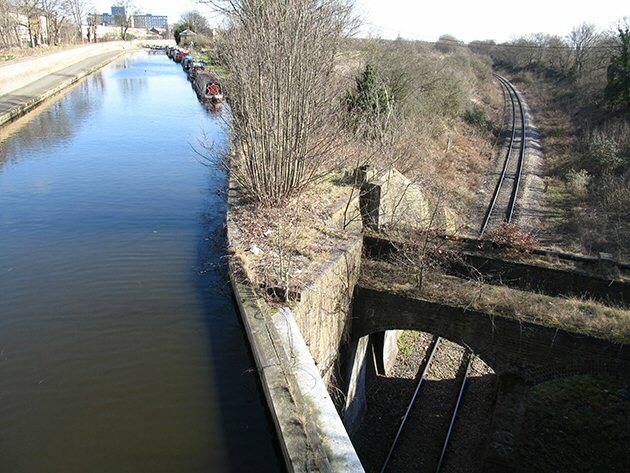 The 18th century canal then meets the 20th in the guise of the M4 before going under the Piccadilly Line and the motorway to reach Osterley Lock. Before the railway you have to cross the listed 1820 Gallows Bridge constructed by Horseley, the famous Black Country iron founders. On your way to Hanwell Locks there’s an odd memorial to a British Waterways Pile Driving Competition in 1959 and just before the locks the Grand Union throws off its split personality by leaving the River Brent. Rubbish collecting in the locks becomes apparent here together with a vituperative notice asking the public to complain about it to British Waterways. 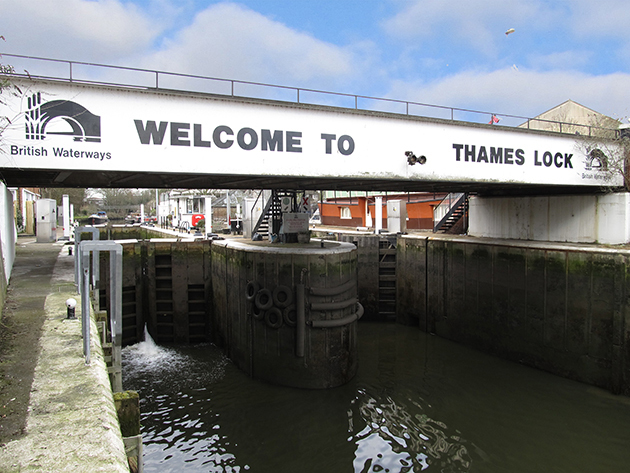 Before the top lock you pass Three Bridges, Isambard Kingdom Brunel’s last major undertaking in 1859, where the problem of taking the railway under the canal to Brentford Dock was solved by placing the canal in a cast iron trough, with Windmill Lane going above them both. The canal continues towards Southall where the swans dine on naan bread rather than Mother’s Pride. 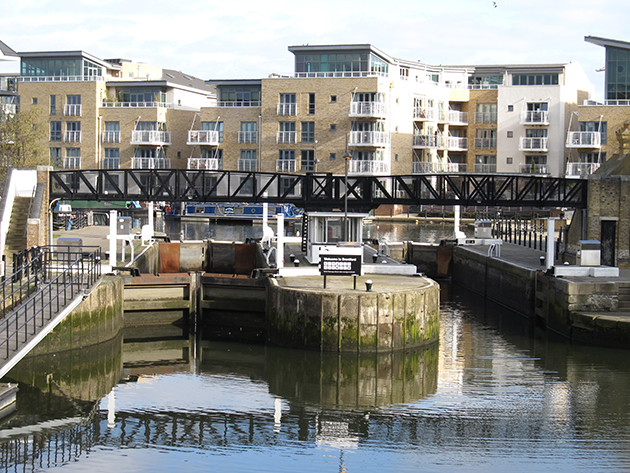 Once past Norwood Locks 91 and 90 and the Havelock Road arm, much of what you see is rather tediously residential. It is a community with no connexion with the waterway and clearly the residents use the canal as a dumping opportunity rather than an amenity. Here the banks are littered with detritus and local people don’t seem to adhere to the notices advising them not to throw foodstuffs into the canal. The long straight ends as you cross over the bridge at the BW maintenance depot at Adelaide Dock. Round the corner, opposite a winding hole, is the Old Oak Tree and then further on by bridge 201 is the Grand Junction Arms. The semis now give way to cottages and factories before a row of houseboats (and a Tesco) at Bull's Bridge come into view. Click on the above five images only to enlarge. Images on other pages are static. 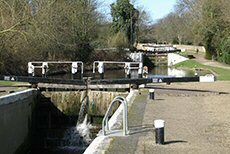 Hover over bold italic text and photograph of Hanwell Locks for extra information.This site is best viewed in Chrome, Firefox and Safari. Brentford Dock was once a mass of Great Western Railway sidings and wharfs transferring goods that had been brought from the Thames. On the other side of Thames Lock is Johnsons Island, an artistic and boat building comunity.